In the first half of XIX century, the awakening of national awareness was developing fast. 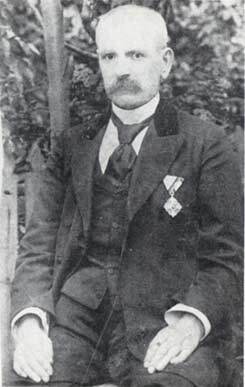 The work of the leader of the Macedonian Revival, Dimitar Miladinov, was especially prominent. He was educated in Greece, after which he became a teacher in Ohrid. Having met the famous Russian Slavist, Victor Grigorovic, Miladinov became one of the prominent figures in the struggle against Greek spiritual influence. 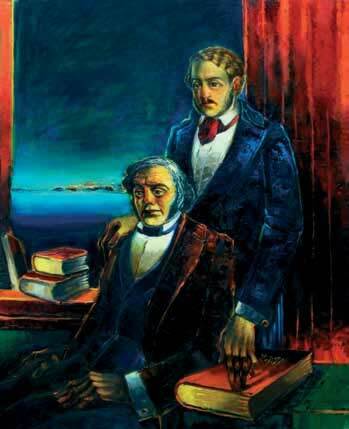 The result of the joint work with his brother Konstantin was the publication of their Collected Works in 1861 in Zagreb (Croatia), after which the Revival of the Macedonian was significantly felt. Dimitar MIladinov was the teacher of the esteemed educators: Partenija Zografski, Grigor Prlicev, Konstantin Miladinov, Kuzman Sapkarev, etc. The life of Grigor Prlicev from Ohrid, was similar to the one of his teacher. Initially he defended Hellenism, but later he became aware of his national feelings and continued the work of his teacher in the most dignified manner. After receiving the Laurel Wreath for the best work of poetry awarded to him by the University of Athens in 1860 for the poem “Defender of People”, Prlicev (he was even named “New Homer”) returned to his motherland to help in the process of communicating the national awareness. 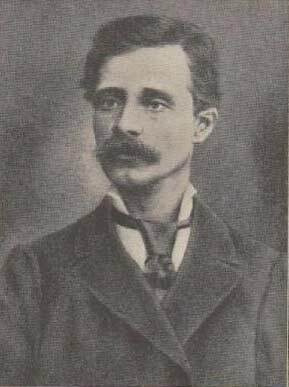 The literary work “Autobiography” (1885) by Prlicev is a testimony of the Revival process in Ohrid, and of the hardships of the author. Prlicev performed his revival activities mainly by educating and teaching. At the same time he was highly active in the fields of literature, philology, etc. Kuzman Sapkarev was a teacher for more than three decades. He spent almost the same amount of time on collecting folk songs and on ethnology. He was one of the most important educational publishers. His intention was to increase the educational level in Macedonia. In the period between 1868 and 1874 Sapkarev wrote and published eight textbooks. Sapkarev took the Ohrid dialect as the basis of the language. In the eighth decade of XIX century the Balkan Peninsula became the scene of major events. In that period a number of insurrection movements against the Ottoman Empire took place in Bosnia and Herzegovina, Bulgaria, and in Macedonia. This was also the period of wars between Serbia, Montenegro and Russia on the one side and the Ottoman Empire on the other. The wars ended with the signing of the San Stefano Treaty and the Berlin Congress in 1878. The people in Western Macedonia were repressed by robberies, especially by the Albanians, but they also lived in extremely difficult circumstances imposed by the Empire. The result was a wave of revolutionary turmoil that reached Ohrid as well. During the initial period of the war between Russia and the Ottoman Empire, a conspiracy group was formed in Ohrid. Members were: Stojan Parmakov, Zlatan Bojkicev, Ivan Pauncev, Nikola Mingov, Dimitar Uzunov, Naum Filev, Grigor Prlicev, Koco Grupcev, Kosta Limoncev, Kole Fildisov, Nikola Bockarov, the leader of the group, Doctor Konstantin Robev, and others. The members of the group formed a small terrorist group. They performed a series of actions against the rich Turks. The war between Russia and the Ottoman Empire increased the hopes for liberation of Macedonians, thus new members joined the group such as Stefan Trimcev, Gorgi Snegarov, Angel Janev, Ivan Blazev, Kosta Nelcinov, Spase Nerezanov, Hristo Momirov, Kosta Manulov, Dimitar Pisanov, Zafir Belev, and others. Various names for this revolutionary movement exist in history, such as The Ohrid Conspiracy, The Ohrid – Demir Hisar Rebellion, The Brsjak Rebellion, etc. Apparently, a volunteer from Prilep who took part in the war between Russia and the Ottoman Empire incited the insurrection. Towards the end of 1878, he went to Krusevo to discuss with the leading people of the town what measures should be taken to stop the Turkish mischief. Later on, this group got together with the Ohrid group and serious preparations for an armed insurrection started. According to the plans, the uprising was to begin in the fall of 1881 in the regions of Ohrid, Resen, Prilep, Demir Hisar, and Krusevo. The members of the secret organization were planning to obtain about 20,000 rifles. In the beginning of May, some of the members were to meet in the monastery Slepce in Demir Hisar. The group was discovered, and the Turks learned about the plan of the insurrection. Eighteen members of the secret organization were arrested. They were put to a trial. In the absence of witnesses, four of them (Zafir Belev, Kosta Limoncev, Hristo Popov, and Zlatan Bojkicev) were sentenced to 101 years of imprisonment each, nine of them got 15 years each, and six were released due to insufficient evidence. In addition, 700 people of the conspiracy regions were imprisoned and tortured by the Ottoman authorities. That way the Turks wanted to prove that all insurrection movements would be sanctioned, whilst the participants severely punished. The exact number of the inhabitants in Ohrid in the late XIX century is uncertain since the Turks did not conduct any statistical quantification of the population. According to the statistical data of a Bulgarian demographer that are treated as accountable, there were 8,760 Christians and 5,500 Muslims in Ohrid. Only 500 of the Muslims were recorded as Albanians. In Struga there were about 3,000 Christians and about 1,300 Muslims, 300 of who declared themselves as Albanians. In the statistical data the Macedonian population was given referred to with various names. The Bulgarian demographer called them “Bulgarians”, whereas the statistics of the Austrian-Hungary Vice Consul Krall state the population of the region of Ohrid was the following: Slav-Exarchists 36,608; Slavs-Patriarchiatists 561, Slav-Muslims 318, Vlahs 1,948, and Albanians (including the Turks) 12,140. In total, the population was 51,915 inhabitants. Throughout the second half of XIX century Macedonia was the place where various propaganda activities of the neighbouring countries occurred. Before that, in the region of Ohrid the Greek influence dominated, mostly through the Ohrid Archiepiscopate and some of its Greek clergy members. The official language of the Archiepiscopate was Greek, and in addition, there were a number of Greek schools in the town. However, towards the second half of the century the citizens of Ohrid started to reject the Greek propaganda by opening schools where the teaching was carried out in the Macedonian language. This was the case till 1870 when the Exarchate was formed, while in 1874 the first Exarchate Metropolitan came to Ohrid. From that moment on, Bulgarian influence was felt more strongly. That was a period of conflicts between the Municipality of Ohrid and the Bulgarian advocates. Especially dominant were the activities of the association “St. Clement” through which the Macedonians expressed their national identity. Several teachers and students as a cultural and educational society set up the Association in 1885,. Among the founders were Nikola Paskov, Jakim Derebanov, Anton Keckarov, Atanas and Hristo Majarov, Ivan Limoncev, Lev Ognenov, and others. On 20th July 1886, some members of the Association swore before the Bible, the Crucifix, and the saber that they would serve their country. They also set their goals: to pursue the bandits, to establish secret groups to fighting the invaders, to work on the establishment of Macedonian schools in every village, and similar. The activity of the Association did not last long because the initiators were soon discovered by the Exarchate and relocated to other posts in the neighboring towns. The influence of the Greek and Bulgarian propaganda, and later on the Serbian, can be seen from some of the following statistical data. According to the official Exarchate statistics, there were 33 schools, 52 teachers, and 2,378 students in the Municipality of Ohrid in the study year of 1899/90. In 1899 the Greeks funded one primary school that had three teachers and 35 pupils. In 1904 there were 6 Greek schools with 10 teachers and 280 students in the Municipality of Ohrid. In 1887/88 the Serbian propaganda for the first time made an attempt to establish its own school. The attempt was successful later, in 1899, and the school had 16 students and 3 teachers. After the Ilinden Insurrection there were 4 Serbian schools with 6 teachers and 142 students.